WIRES IN/OUT, ONLINE & SOFORT BANKING! Become a regulated securities dealer and enable your clients access to your very own products, such as: Forex Services, Asset Management, Bonds, Deposits, Certificates etc. Your domicile in the Pacific. Tax-free and still fully regulated and licensed! 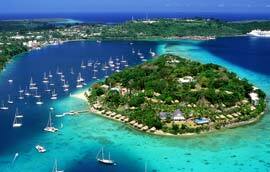 The Vanuatu Securities Dealers Licenses are the best-selling license solutions. Have questions? Want to work with us? Need our assistance? Contact us today. One of the solutions we offer is the Vanuatu Securities Dealers License (VSDL). It already gained acceptance and popularity from many firms from many areas, offering financial services to their customers worldwide. THREE (3) ACCOUNTS ARE BEING INCLUDED, ONE WITH THE NATIONAL BANK OF VANUATU, ONE IN HONG KONG/INDONESIA/UAE AND ONE IN THE EU (CZECH REPUBLIC) FOR SEPA INWARD/OUTWARD TRANSFERS, BITCOIN, SOFORT BANKING ETC.